On Saturday I drove over to Green Isle, MN to help work on a tower project. Here is the 55 foot lift that we used for the project. 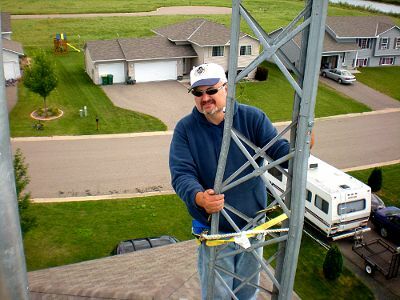 Here is a picture of Don, KC0QNA about about 48 feet in the air. This is Don's tower at Don's QTH so it is only fitting that he should be the guy climbing the tower. 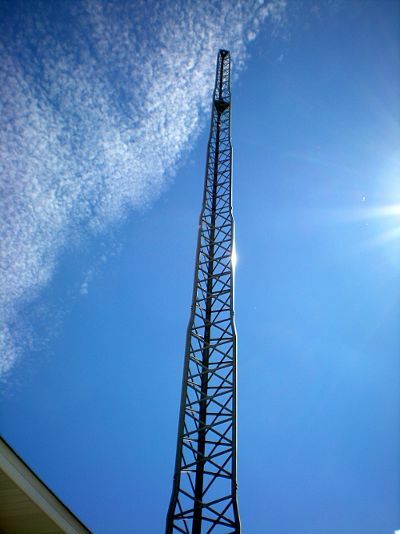 Here is the picture of the 56 foot tall tower from the ground. I was the guy riding up and down most of the day in the bucket of the lift. 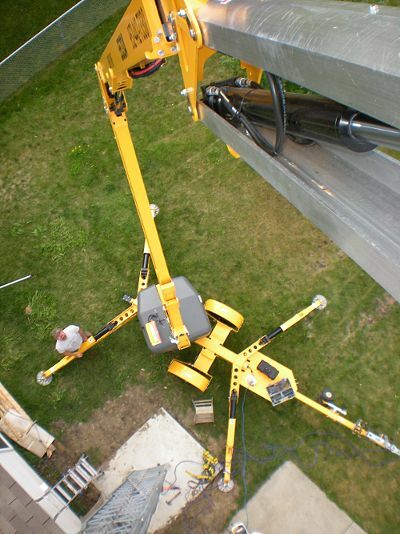 I have some experience doing tower work using a cherry picker like this so I was happy to help out. The project went pretty well, the weather was nice, and the company was pleasant. It nice way to spend a Saturday afternoon in late summer.